GCCC members & family spent a gorgeous 2018 Labor Day afternoon at Claytor Lake, warming up with scales. Check out the gallery below. ﻿3. ﻿Yvette ﻿Pennington ﻿& ﻿her ﻿merry ﻿band ﻿of ﻿circuit ﻿court ﻿clerk ﻿campaigners. ﻿…to ﻿Sheriff ﻿Morgan ﻿Millirons ﻿and ﻿many ﻿children ﻿for ﻿food ﻿donations. ﻿…to ﻿Larry ﻿Greene ﻿for ﻿spiffing ﻿up ﻿the ﻿Newport ﻿Community ﻿Center ﻿by ﻿cutting ﻿the ﻿grass ﻿and ﻿making ﻿sure ﻿we ﻿had ﻿everything ﻿we ﻿needed, ﻿including ﻿Wifi-on-demand. ﻿…to ﻿Mark ﻿Freeman ﻿for ﻿decorating ﻿the ﻿center ﻿singlehandedly! ﻿…is ﻿a ﻿community-building ﻿and ﻿fundraising ﻿event, ﻿the ﻿likes ﻿of ﻿which ﻿you’ve ﻿never ﻿seen. ﻿We’ll ﻿sing ﻿songs ﻿together: ﻿fun ﻿songs, ﻿familiar ﻿songs, ﻿love ﻿songs, ﻿profound ﻿songs. ﻿It’s ﻿an ﻿audience ﻿PARTICIPATION ﻿event, ﻿NOT ﻿a ﻿PERFORMANCE! ﻿So ﻿it’s ﻿not ﻿just ﻿for ﻿“singers” ﻿or ﻿“musicians”. ﻿It’s ﻿for ﻿EVERYBODY ﻿who ﻿wants ﻿to ﻿foster ﻿unity, ﻿harmony, ﻿and ﻿connectedness ﻿among ﻿their ﻿families, ﻿friends, ﻿and ﻿neighbors. ﻿Singing ﻿engaging ﻿tunes ﻿and ﻿infectious ﻿harmonies ﻿together ﻿will ﻿initiate ﻿a ﻿ripple ﻿effect ﻿that ﻿will ﻿spread, ﻿not ﻿only ﻿among ﻿our ﻿closer ﻿neighbors, ﻿but ﻿also ﻿to ﻿farther ﻿communities. ﻿Using ﻿the ﻿universal ﻿language ﻿of ﻿music, ﻿we’ll ﻿raise ﻿awareness ﻿that ﻿we’re ﻿one ﻿people ﻿and ﻿inspire ﻿others ﻿to ﻿create ﻿and ﻿build ﻿strength ﻿in ﻿this ﻿community. 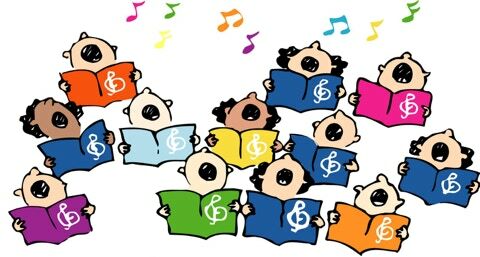 ﻿ We’ll ﻿sing ﻿simple, ﻿well-known ﻿songs ﻿that ﻿inspire ﻿participation. ﻿We’ll ﻿use ﻿a ﻿piano ﻿to ﻿help ﻿us ﻿out, ﻿and ﻿maybe ﻿a ﻿few ﻿other ﻿instruments ﻿here ﻿and ﻿there, ﻿but ﻿there ﻿won’t ﻿be ﻿a ﻿blaring ﻿band ﻿to ﻿compete ﻿with, ﻿because ﻿this ﻿event ﻿will ﻿feature ﻿YOU, ﻿the ﻿audience! ﻿Our ﻿set ﻿list ﻿isn’t ﻿final ﻿yet, ﻿but ﻿look ﻿for ﻿songs ﻿like ﻿Bridge ﻿Over ﻿Troubled ﻿Water, ﻿Climb ﻿Ev’ry ﻿Mountain, ﻿and ﻿Amazing ﻿Grace, ﻿among ﻿many ﻿others. ﻿We ﻿invite ﻿YOU, ﻿like-minded ﻿friends, ﻿to ﻿help ﻿us ﻿make ﻿sure ﻿this ﻿event ﻿achieves ﻿its ﻿goals. ﻿We ﻿need ﻿YOU ﻿to ﻿become ﻿an ﻿event ﻿sponsor. ﻿Filling ﻿an ﻿auditorium ﻿with ﻿400 ﻿people ﻿won’t ﻿happen ﻿by ﻿accident. ﻿Sponsors ﻿commit ﻿to ﻿attending ﻿the ﻿event ﻿and ﻿bringing ﻿6 ﻿other ﻿people ﻿with ﻿them. ﻿That’s ﻿it! ﻿It’s ﻿that ﻿simple. ﻿Fifty-seven ﻿sponsors ﻿will ﻿guarantee ﻿that ﻿we ﻿achieve ﻿our ﻿threshold ﻿goal ﻿of ﻿400 ﻿participants. ﻿We ﻿encourage ﻿people ﻿to ﻿attend ﻿as ﻿part ﻿of ﻿a ﻿group, ﻿small ﻿or ﻿large, ﻿because ﻿those ﻿who ﻿do ﻿will ﻿create ﻿a ﻿shared ﻿memory ﻿that ﻿will ﻿carry ﻿far ﻿beyond ﻿September ﻿2nd. ﻿Family ﻿members, ﻿co-workers, ﻿fellow ﻿students, ﻿and ﻿more, ﻿are ﻿all ﻿ideal ﻿recruiting ﻿pools. ﻿We’re ﻿listing ﻿all ﻿the ﻿individuals ﻿and ﻿organizations ﻿who ﻿are ﻿supporting ﻿this ﻿event ﻿as ﻿a ﻿sponsor ﻿here. ﻿Every ﻿Friday ﻿during ﻿the ﻿school ﻿year, ﻿volunteers ﻿pack ﻿over ﻿100 ﻿backpacks ﻿with ﻿food, ﻿which ﻿are ﻿distributed ﻿to ﻿needy ﻿children ﻿at ﻿Eastern, ﻿Macy-McClaugherty, ﻿and ﻿Narrows ﻿elementary ﻿schools. ﻿Many ﻿of ﻿these ﻿children ﻿go ﻿home ﻿on ﻿a ﻿weekly ﻿basis ﻿without ﻿the ﻿assurance ﻿of ﻿regular, ﻿nutritious ﻿meals ﻿over ﻿the ﻿weekend. ﻿The ﻿Giles ﻿County ﻿Backpack ﻿Program ﻿addresses ﻿this ﻿need. ﻿There’s ﻿more ﻿information ﻿about ﻿this ﻿program ﻿here. ﻿We ﻿will ﻿donate ﻿half ﻿the ﻿proceeds ﻿from ﻿each ﻿admission ﻿ticket ﻿to ﻿the ﻿backpack ﻿program. ﻿That ﻿means ﻿when ﻿we ﻿meet ﻿our ﻿goal ﻿of ﻿400 ﻿attendees, ﻿we’ll ﻿guarantee ﻿a ﻿donation ﻿of ﻿as ﻿much ﻿as ﻿$2000.00 ﻿to ﻿this ﻿cause. ﻿Tickets ﻿are ﻿now ﻿on ﻿sale! ﻿Click ﻿here ﻿to ﻿purchase ﻿them ﻿and/or ﻿register ﻿in ﻿advance. ﻿So ﻿get ﻿some ﻿family ﻿& ﻿friends ﻿signed ﻿up, ﻿put ﻿your ﻿heads ﻿together, ﻿and ﻿come ﻿up ﻿with ﻿a ﻿great ﻿slogan, ﻿name, ﻿wacky ﻿wigs, ﻿hats, ﻿etc. ﻿We’ll ﻿judge’em ﻿at ﻿the ﻿event ﻿and ﻿hand ﻿out ﻿prizes ﻿to ﻿the ﻿ones ﻿that ﻿get ﻿the ﻿biggest ﻿audience ﻿response.